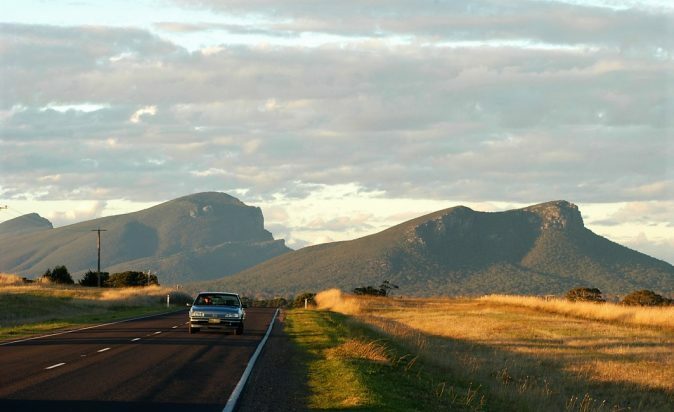 The Grampians is known by professional photographers around the world for its picture-perfect scenery. 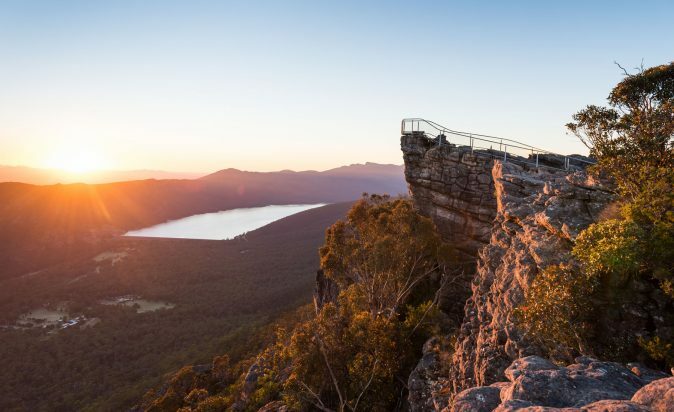 It's time to grab your friends and selfie stick and hit up the most Instagrammable places around the Grampians. 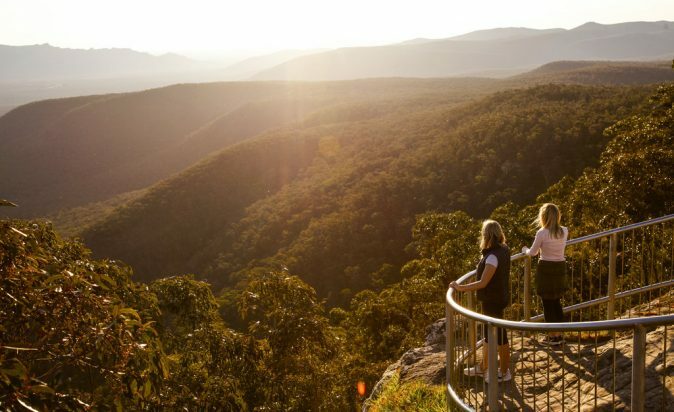 If you’re looking for the perfect start to the day then check out Boroka Lookout at sunrise for an iconic pink sky overlooking Halls Gap. 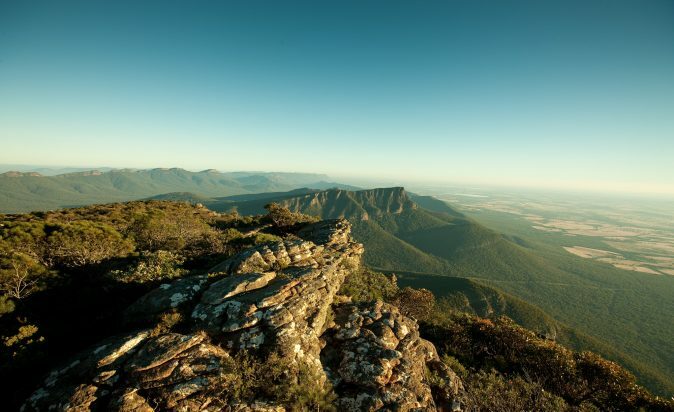 If you are wanting a 360 degrees view of the entire mountain range you can walk to the summit of Mount William, despite the steep walk you will be rewarded with the perfect opportunity to snap that epic pano of the entire Grampians. If you want a challenge, try the Pinnacle walk through the Grand Canyon and Silent Street you will be able to get some amazing and unique pics of the ancient rock formations. Plus, the view from the Pinnacle lookout will be well worth your effort! “Don’t go chasing waterfalls” is a popular caption choice for selfies taken at the iconic Mackenzie Falls. Only 30 minutes from Halls Gap, the waterfall is one of the largest in Victoria and flows all year round. 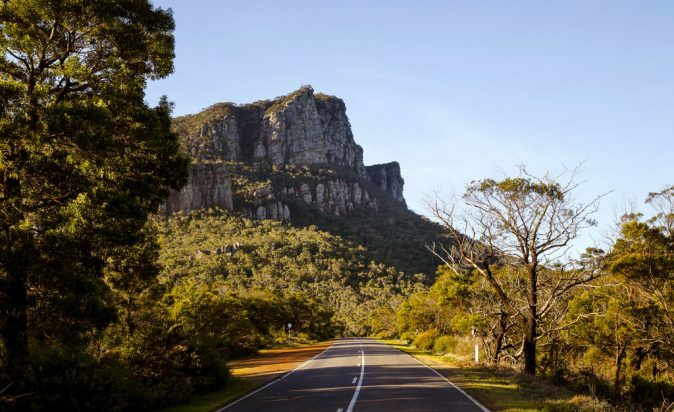 For an epic road trip drive from Halls Gap south to Dunkled, cruising in between two mountain ranges, over hills and through valleys you will find the ultimate picture of the road ahead and the mountains above. Be sure to head to Reeds Lookout/ Balconies for one of the most amazing sunsets you will ever see. On a clear night watch the sun fall behind the mountains and the sky turn from orange to a pink, purple haze. Make sure to take all the snaps you can because the colours change quickly, and you obviously want to have the perfect shot so you can brag about it to all your friends on social media! 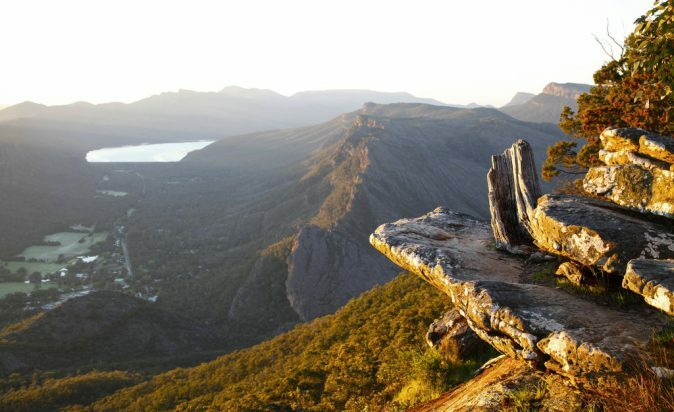 Hollow Mountain is a superb short hiking trail located in the Northern Grampians. 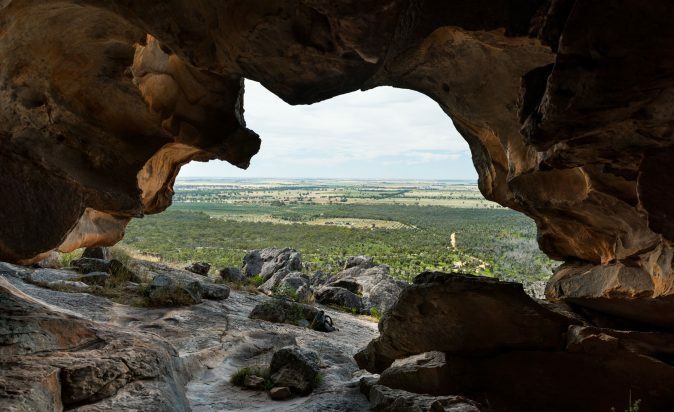 It offers fantastic views and rock formations that overlook the Mt Stapylton Amphitheatre and the Wimmera Plains. 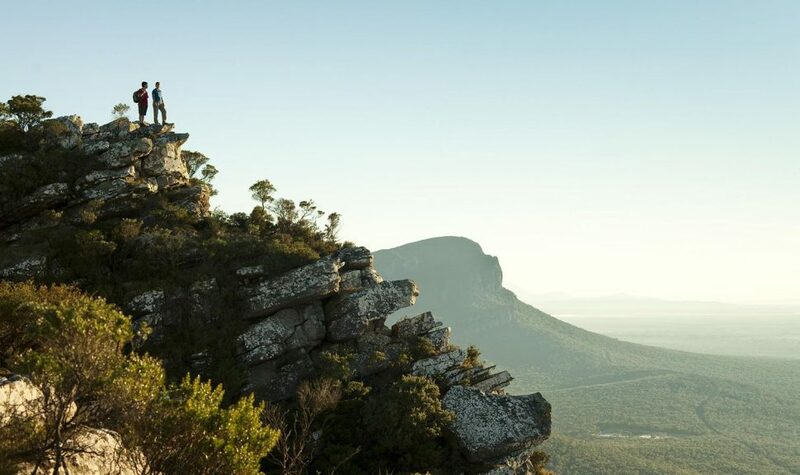 Walk to the top of Mount Abrupt and take in the stunning views of the Serra Range and Dunkeld. Keep an eye open for the amazing wildlife on your way, including wedge-tailed eagles, rock wallabies and peregrine falcons.